In the healthcare industry, it is not easy to provide a quick and smooth service while also maintaining the privacy of a patient’s information according to HIPAA requirements. 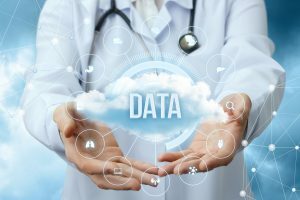 Leading healthcare organizations are addressing these demands in collaboration with Google’s cloud and making it easier for their patients to access their information under one roof. Google’s cloud ensures information security that HIPAA requires, allowing limited logins to health officials and patients to avoid any data theft. There is software that allows you to identify how many times the document or information has been viewed. If the system becomes corrupted or hacked, you know that your information is securely placed in the cloud. You can apply device encryption and then share the file; authorized people can access patient data from any managed device. As a healthcare professional, it is your responsibility to ensure security of your patients’ information. Many websites connect patients with healthcare physicians across the United States. They allow patients to review inputs before they even see a doctor. When a patient arrives at the clinic or hospital, they can fill out an online form that doctors, administration, and nurses can access. This way, you will already have your patient’s information and can follow-up with them immediately. Patients can even fill out a feedback survey that will help improve customer service. Google cloud makes it simple to create a streamlined information center. All you have to do is simply move all important data, policies, announcements, calendars, training, and resources to the Google drive and link it to the Google website. For example, a patient is visiting a general physician, cardiologist, and a cardiac surgeon at around the same time. Instead of faxing or emailing information to each other, the patient’s lab reports and follow-up information should be stored on the cloud. This way, all three doctors will have access to the patient’s information from anywhere. If there is an emergency, the doctor can access the patient’s medical history right away from their device. Healthcare practitioners can also view previous clinical follow-ups. CT scans, X-rays, and audio or video messages can be uploaded to the cloud. Patients can view their medical history as well as their financial transactions. Let’s say, the patient does not have medical insurance and pays out of pocket. Instead of visiting the account’s department, they can view all payment history on the cloud. Even the accounts department can perform their bookkeeping on the cloud and go paperless. One of the best examples is a leading pharmaceutical company that has been providing patients lifesaving medications all around the world. This company started using apps. However, not all apps can collaborate, so they moved to the cloud. Today, more than 90,000 employees of this company are using Gmail, calendar, and multiple tools to work simultaneously from 140 countries. Google cloud is easy to use. If you hire a new employee, you can simply add them to the Google cloud from your admin control and they have access to it; you do not have to wait to hear back from your IT department. For example, there is a new doctor on board and you have to provide them with a patient’s medical history… all you have to do is simply add them to the cloud and they have access to all of the information. Depending on the IT department can create a hindrance at times. Some medically complex patients have difficulty visiting hospitals or clinics, especially kids. That is when home services are provided. For example, a speech therapist visits a child’s home for speech therapy. After the session, the therapist can provide input directly from their device on the Google cloud and update the charts, reports, and medication list from the patient’s home and all other practitioners can view the updated information right away. If your hospitals or clinics are providing in-home services, Google cloud makes that easier. You can track or update a patient’s information on the cloud and all other healthcare practitioners can view that information immediately.